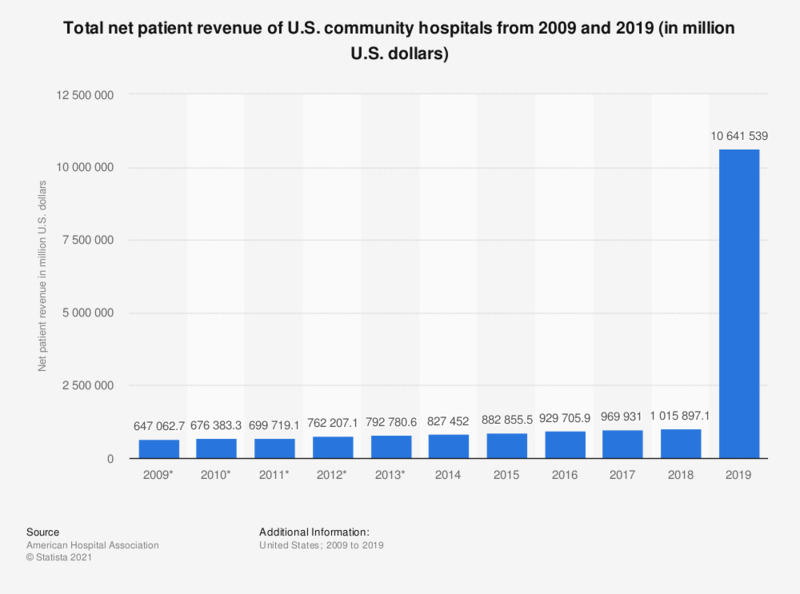 This statistic shows the total net patient revenue of U.S. community hospitals from 2009 and 2017, in million U.S. dollars. In 2009, the net patient of all U.S. community hospitals stood at some 647 billion U.S. dollars. * Added from previous AHA Hospital Statistics editions.